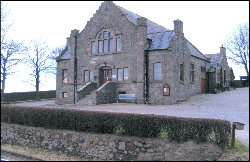 King Memorial Hall is set in a rural location in the Grange area, approx.. 4 miles from Keith. No charge for use of kitchen. Daytime charges may vary depending on the time of year. Contact Mrs Linda de Zilva for details.